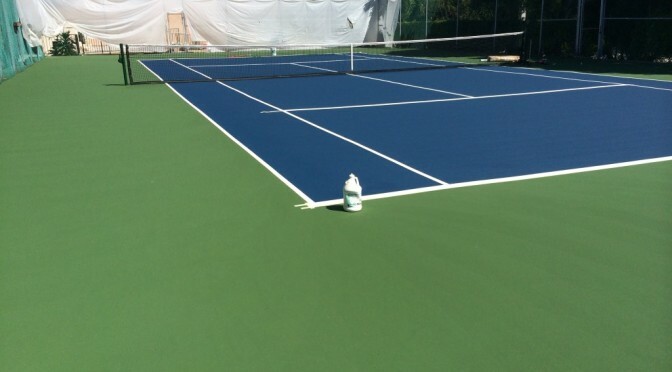 The 100% acrylic surfacing systems that are used for tennis court surfaces are commonly used for basketball court surfaces in Mobile Alabama, as well. The coatings contain specific mixes of silica sand for safe, non-slip texture on both dry and wet conditions. SportMaster surfaces can be factory-mixed or field-mixed to meet your needs. 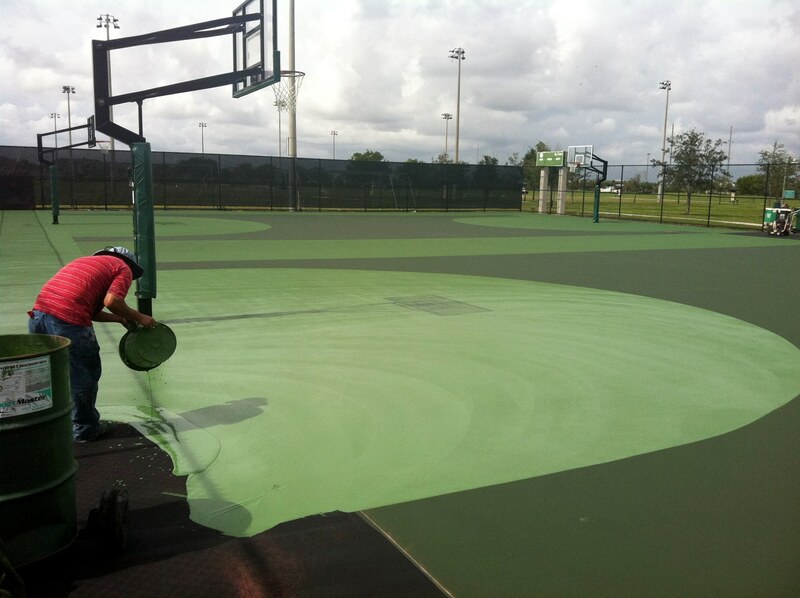 Basketball court lines can also be blended, or painted in a different color than the white lines, on a tennis court. This way, basketball can played on the court when it is not in use with tennis players, and vice versa. Pickleball is one of the fastest growing sports in the United States. There is quite a demand for places to play, so we are seeing more blended pickleball court lines on tennis courts and other recreational courts. Backyard pickleball courts are becoming more common in Mobile Alabama. Since the courts are smaller, they usually cost less to install than a tennis court, and fit into a much smaller footprint. Contact us and we can have one of our local pickleball court contractors perform a free site visit and see if a backyard pickleball court, or other athletic court, will work for you. As shown in the instagram post above, another great option is to use an indoor asphalt or concrete area for your pickleball court. You will never have to worry about the wind and rain! SportMaster products are also stocked locally in Mobile, Alabama. This makes the installation turn-around time very quick, depending on the current installer backlog. For more information, feel free to fill out the contact form or contact us direct.